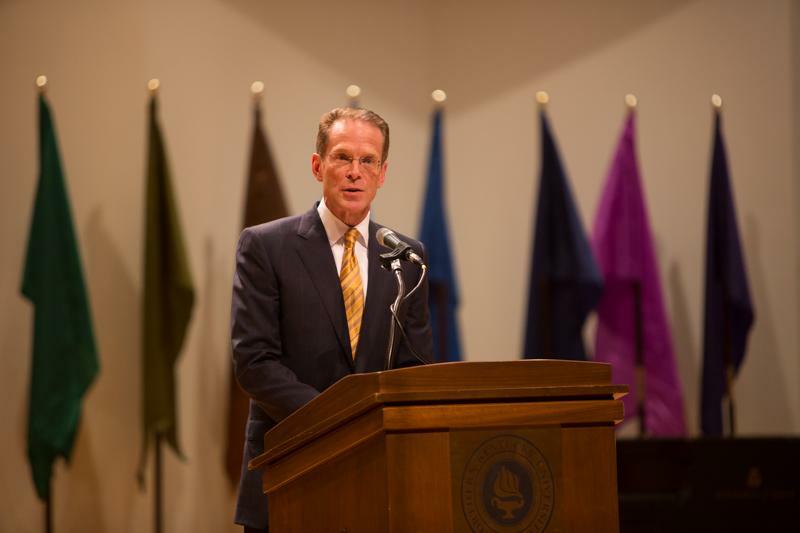 Northern Kentucky University’s original dedication was held on a cold November morning in 1961, according to President Mearns. He said that many elected officials spoke with optimism that a $1 million dollar investment would pay dividends for the people of Northern Kentucky. Mearns said that the man who sent the telegram was President John F. Kennedy. 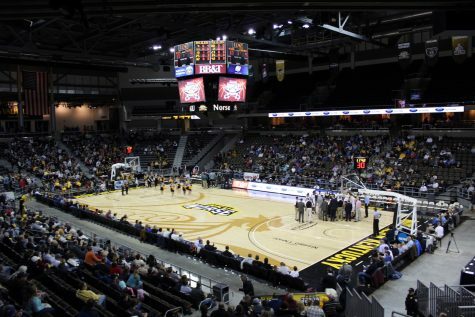 Mearns rang in the new semester by inviting the audience at the fall 2014 convocation to reflect on the strives NKU has made in the two years he has been the university’s president as well as looking forward to upcoming projects such as the campus’ recreation center’s expansion and the US 27 development project. 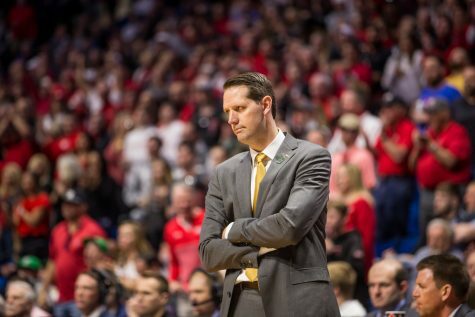 million dollar project due to be completed in 2017 and the finalization of NKU’s Strategic Plan in 2018, which will also mark the university’s 50th anniversary. 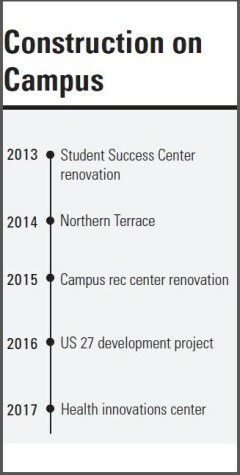 Recent construction projects the university has completed, according to Mearns, include the renovated Student Success Center as well as the newly renovated dining hall, a $3 million dollar project, and the completion of a new residence hall, Northern Terrace. 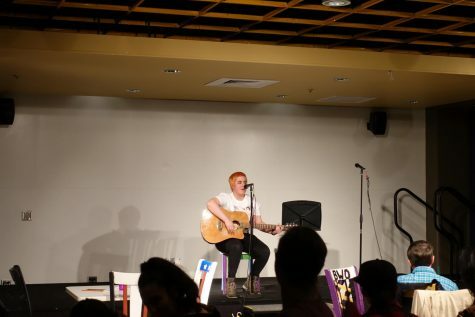 Mearns said that the dorm building which opened this week is already full and contributed to the approximate 2,000 students living on campus, which is the most the university has ever seen. 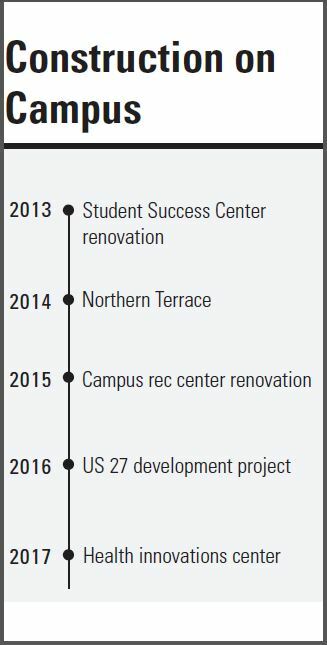 In addition to a brief summary of the university’s construction projects, Mearns also announced that applications for admission this fall increased by 11 percent from where it was last year and a 38 percent increase from where it was two years ago. 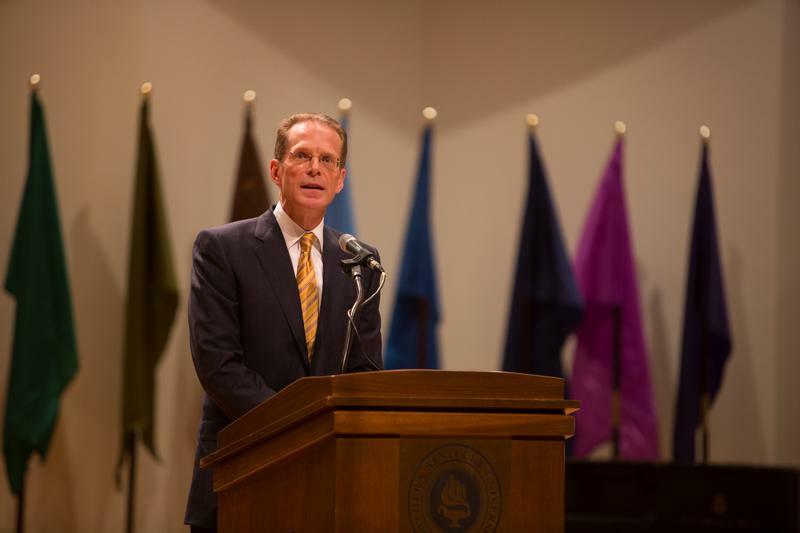 “I anticipate that we will enroll 125 more freshmen than we did in 2012 — nearly a six percent increase,” Mearns said. The number of total African American and Hispanic students have also increased, said Mearns. According to him, they have increased by three and 12 percent respectively. “We aspire to be a more diverse and inclusive institution. 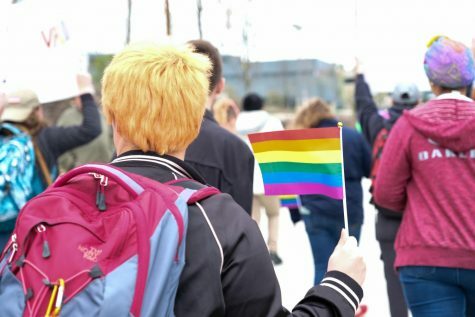 These statistics are evidence that we are making progress towards that important goal,” Mearns said. Salmon P. Chase College of Law will also be receiving an honors program, according to Mearns. The Lunsford Academy was funded by a $1 million dollar donation by Bruce Lunsford, a Chase graduate. Mearns said that 70 law students applied to the program, but only 12 were accepted. NKU’s provost, Sue Ott Rowlands, also announced Jonathan Reynolds as the winner of the 2014 Frank Sinton Milburn Outstanding Professor Award. Reynolds, a professor of history and geography gave the award to his mother as an early birthday present. There was also a brief performance from NKU’s theatre department that featured a musical number from their production of Spamalot that they did in April.